Granted, it’s not the best action shot, but we’ve given you plenty of those (and more to come). 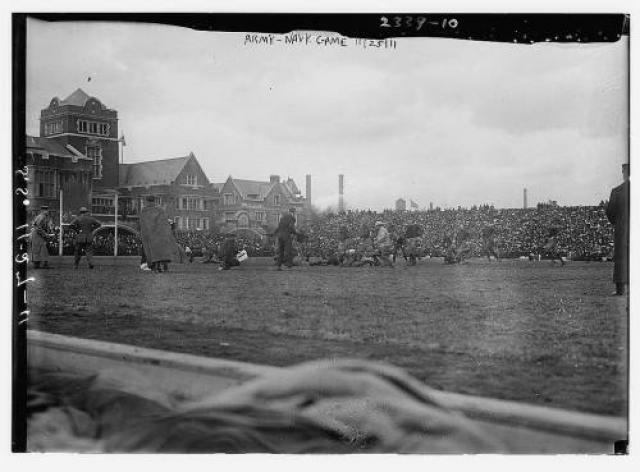 Still, it’s a piece of history — a sideline view of the 1911 Army-Navy game at Philadelphia’s Franklin Field. Army and Navy both entered the season finale undefeated. The Mids had five wins against three ties and had allowed 11 points all year, with 0-0 draws against Princeton, Western Reserve and Penn State. The Cadets entered the game at 6-0-1 and pitched five shutouts.